Guess who's in the Shelf Awareness write-up? 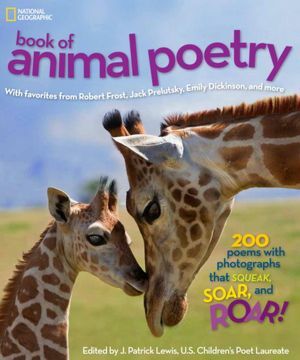 Poet laureate J. Patrick Lewis contributes poems and curates this collection of 200 poems, with stunning photos sure to convert young readers into new poetry fans. Also, I really and truly love this book, completely independent of my having a poem in it. It's high on my list of gifts to give others this holiday season. "readers are the winners" -- what a great tribute! I love your jellyfish and the book -- I read and meant to blog but got caught up in other things, but this reminds me it's good to blog before the holidays. I agree, SO many would find this a perfect gift. Isn't that a terrific review? I was extremely chuffed to be singled out in the text - especially with the company I keep! So, what's the answer? Which did come first? Don't know for certain. The poems were not written with access to the photos, or vice-versa.